The net result was that there was an opportunity to challenge the Will because there was confusion as to whether the brother was to receive everything, or just the listed items, and if it was just the listed items, then who was going to receive the rest? There was no residual beneficiary. In the first example, if the tea set is no longer in your possession when the Will comes into effect, then the bequest will simply be ignored. The other two specific bequests are not contingent on any particular asset, so they will still be valid bequests even if items are acquired or sold during your lifetime. I leave my entire estate to be divided as follows; 10% to my niece Emily, 30% to my nephew James and the remainder to St Luke's Hospice in Montreal. If you attempt to list everything you own in your Will, you will need to update your Will each time an asset changes. But this means that your Will then has to be re-signed in the presence of two witnesses every time. You cannot just cross something out on a Will without the annotation being signed and witnessed. How does your Liquidator know which assets you have? If you are not including your assets in your Will, then how will the person administering your estate know how to find your assets? This is undoubtedly one of the most challenging parts of the liquidator's tasks. According to the Bank of Canada at the end of December 2013, approximately 1.4 million unclaimed balances, worth some $532 million, most of these are for people who died, but their liquidator had no idea that the account existed. 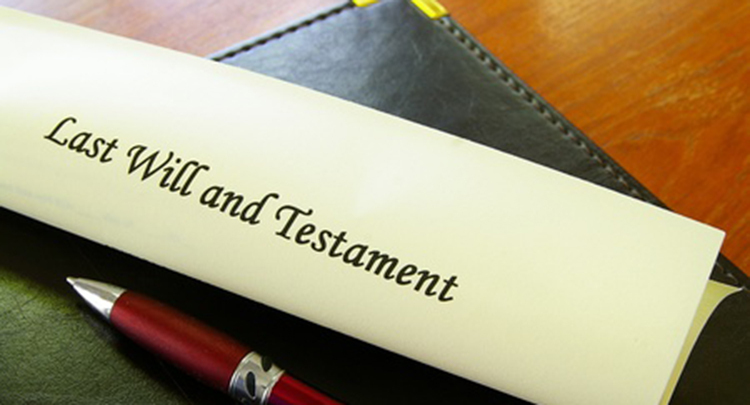 We recommend that you keep a separate piece of paper stored with your Will that describes your assets. You don't need to include secret information like passwords, but it at least gives your liquidator a chance of gathering up your estate. This is not a legal document, so it does not have to be signed and witnessed every time a change is made; you can cross things out, annotate and even post sticky notes on there, as long as it is a complete record of what you have. Make sure that you also include digital assets including User account information for things like online photo storage accounts, blogs, or other accounts that generate advertising revenue. You may have online trading accounts, or even gambling accounts. All of these should be listed as assets, they tend to be forgotten in most estates. Without a list of assets the liquidator will never know when they have completed their task of gathering up the estate. Even when the liquidator is the spouse of the person who has died, there are often forgotten policies or accounts that are never captured as part of the estate. Taking this simple step saves your liquidator from weeks of anxiety.